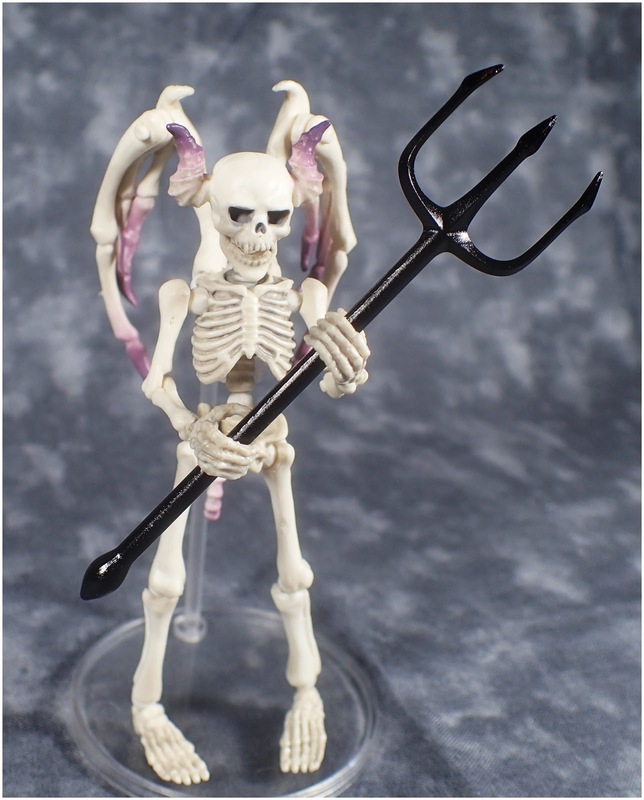 This figure is very small and needs the stand in order to stand up, due to the weight of his wings. He is nicely articulated with each part of the wing moving, my only comment is that he has no wrist joint and I wish his jaw could open and close. Apart from this nothing much to say as there is not a lot too him. He has a nice weapon and that's about it. 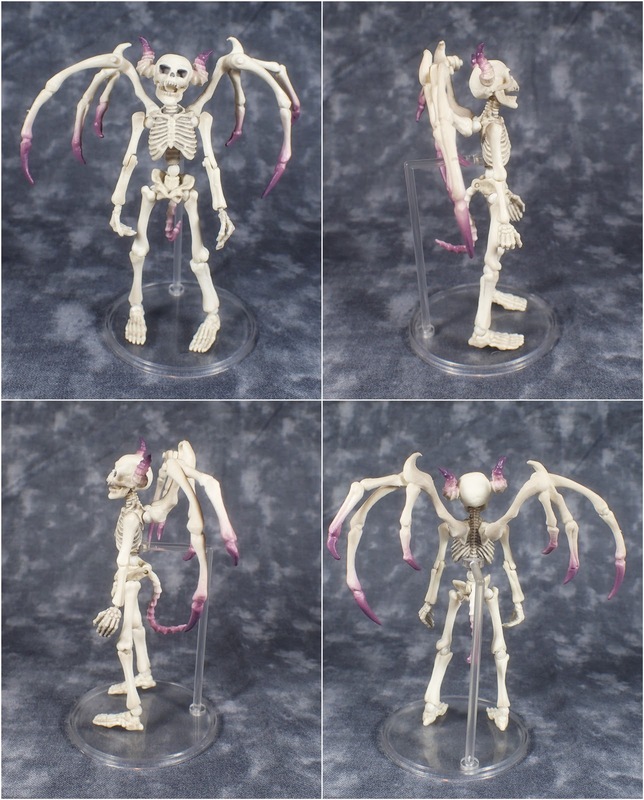 A very cool mini friend though for my other skeleton figure and I might purchase some more pose skeletons in the future.